ConnectWise Manage Partners have told us you want inbound call recognition. So we deliver this and much more. The VTone SideBar2 instantly searches your company database, then retrieves and displays customer information directly on your computer. Whether you are serving clients in the field or prospecting in the office, The VTone SideBar2 makes your life easier. And it runs on Windows, OSX, and Linux with no special drivers to install. Maximize ConnectWise Manage…with our powerful productivity tool. The VirtualTone SideBar2 is a software application that can be installed on any system capable of running Adobe AIR. The VirtualTone SideBar2 allows the user(s) to quickly see who is online, the number of calls in the call queue, online chatting with other VirtualTone SideBar2 users, as well as the ability to quickly change their status (Available, Away, DND). The latest version of VirtualTone SideBar2 now includes two way ticketing with your ConnectWise Manage PSA tool. Really enjoy the VT Sidebar app as I find myself using it all the time. The CW integration is pretty slick too. 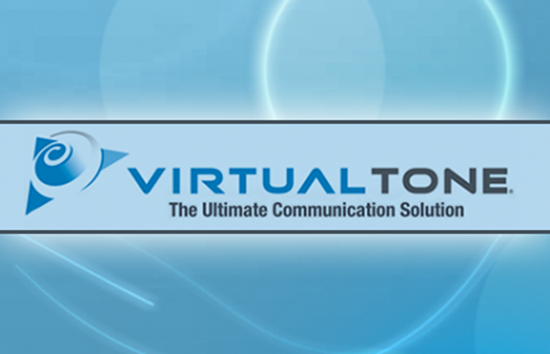 Virtual Tone is the best communication solution hands down. The support, system configuration options, and quality of service are all exceptional. We have had experience with a variety of VoIP and traditional phone services providers and non of them come close to what Virtual Tone offers. Switching to Virtual Tone was one of the best business decisions we have made. We have been a VirtualTone gold partner for a while now and I can say VirtualTone is top notch. We use their phone system in our offices as well as sell to current clients. Excellent support and implementation. Adds/moves/changes are as easy as a phone call or support ticket. Highly recommend! Simple, but elegant integration between our phone system and the CW client. Easily create new tickets and see existing tickets based on the caller. Team enjoys the enterprise chat functionality and built-in presence notifications. Overall design keeps the interface simple but adds substantial functionality. I have been an authorized Gold Partner with Virtual Tone for a couple of years now. I highly recommend them to my customers as well as you; my peers. Their existing integration with CW is fantastic and from what I've seen of the new release, it will be PHENOMENAL! The phone system itself is beyond what anyone else has on the market. Add to that the VirtualTone SideBar for the integration with CW and get ready to take your business up not just one; not two; no not even three notches. VirtualTone has re-written what it means to integrate with CW!